During this workshop (21-28 June) there will be twice daily classes of Iyengar yoga specifically tailored to enhance one's hiking technique on three days, and three hikes of moderate difficulty on alternate days, during which some of the area’s most majestic descents from the steep mountains all the way down to the turquoise sea will be experienced! An avid hiker and city walker himself, Constantinos invites hikers to a subtle exploration of body mechanics and posture. Drawing from the deep understanding of movement cultivated through Iyengar yoga, during the hikes participants will have the chance to experiment with and apply the insights they will have gained in the course. Each class prepares the hike to follow, so the week unfolds in a slow and consistent progression. The hikes will end up at a different beach each time; daily encounters with the cool Mediterranean waters, unspoilt surroundings, wholesome local food, other excursions, and a warm and welcoming group of people will add to making this experience unforgettable! No previous experience in yoga is required, but a reasonable level of fitness and love for the outdoors is essential. As its title suggests, this seminar is addressed to lovers of nature who enjoy walking and hiking. The aim of the seminar is to provide hikers with some useful yogic insights that will help them maximise the enjoyment they receive from the hiking experience. it is not meant to teach hikers how to do yoga and it is not suitable for professional hikers who are most likely to be familiar with the content of this seminar. - Understanding biomechanical alignment and finding a more balanced vertical axis that will enable you to receive the support of the rebound force of the earth. - Experimenting with the centre of gravity and finding ways to initiate movement from different parts of the body. - Understanding deep diaphragmatic breathing and the oscillatory movement of the spine that connects legs and arms to the centre. - Learning how to extend your spine, how to warm up and cool down before and after hiking and how to take care of minor hip and shoulder issues. - Discovering useful meditation practices that will allow you to connect breath, walking, and awareness. 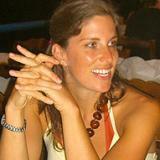 Constantinos is a dedicated Iyengar yoga practitioner since 1992. He received his Iyengar teaching certification in 2002. 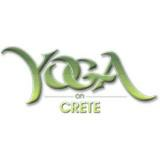 Since then, he has been running the official Iyengar yoga centre in Athens. He is a current student of various certified advanced Iyengar yoga teachers, with whom he undergoes further training, and is interested in the application of the wealth of knowledge gained through yoga in every day life. Constantinos is also an authorized clinical psychologist with a particular interest in lacanian psychoanalysis. Accommodation is offered in our traditional guesthouse, as well as 2 home-cooked vegetarian meals per day. Massage treatments are also available. Prices from 590 EURO per week all inclusive. Bring your hiking boots and best smile and come join us on this exciting new course!